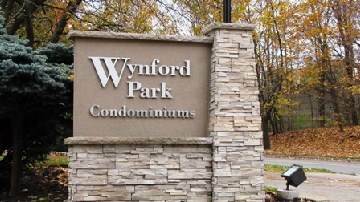 Remarks For Clients: Beautiful 2 Bedroom Condo Plus Den! Renovated Kitchen, Parquet Throughout, Spacious Layout With Ensuite Storage And Large Closets In A Very Well Maintained Building. Minutes To Dvp, 401, Downtown, Ttc, Shopping And Park. Amenities Include Indoor Pool, Sauna, Recreation Room, Exercise Room, Security Guard, Security System & Convenience Store On Site. Extras: Just Move In & Enjoy! Fridge, Stove, All Elf's, All Window Coverings, Washer, Cac, Locker & Parking And Freshly Painted. Maintenance Includes All Utilities & Cable. Second Parking Space Available, If Necessary. Shows Extremely Well! !